In yesterday's promise from Exodus 14:14, I talked about the importance of us learning to be still and watch the Lord fight on our behalf. In today's promise from 2 Corinthians 10:3-5, we are seeing a different facet to the same diamond. 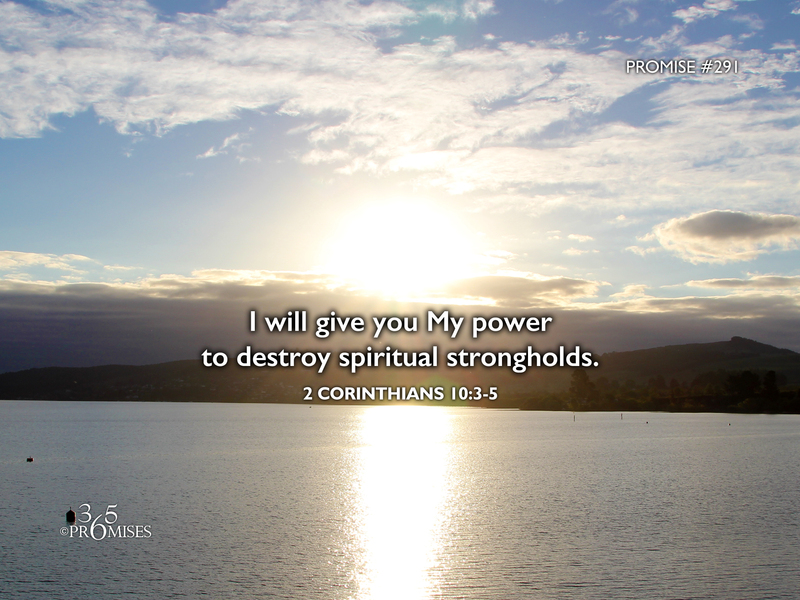 In this passage of Scripture, the Apostle Paul is exhorting us to learn how to partner with the Omniscient, Omnipresent and Omnipotent power that resides in us that will empower us to demolish every spiritual stronghold in our lives. Paul clearly reminds us that we do not wage warfare like the world does. We have the power of the living God in us that is mighty to save. Our part in this battle is to bring into captivity every thought that opposes the knowledge of God. But just like I said yesterday, we need to understand that we cannot do this in our own strength, for the battle is the Lord's. We are called in Romans 12:2 to not be conformed to this world, but rather transformed by the renewing of the mind. Our carnal thought life will never be in agreement with the mind of Christ. The only way to deal with an unredeemed thought is to take it captive to the obedience of Christ by the power of the Holy Spirit that lives within us. So the next time that a negative, condemning, self-centered, carnal thought comes into your mind, be encouraged to know that God has given you power by His Spirit to take that thought and make it come into submission to the Lordship of Christ.